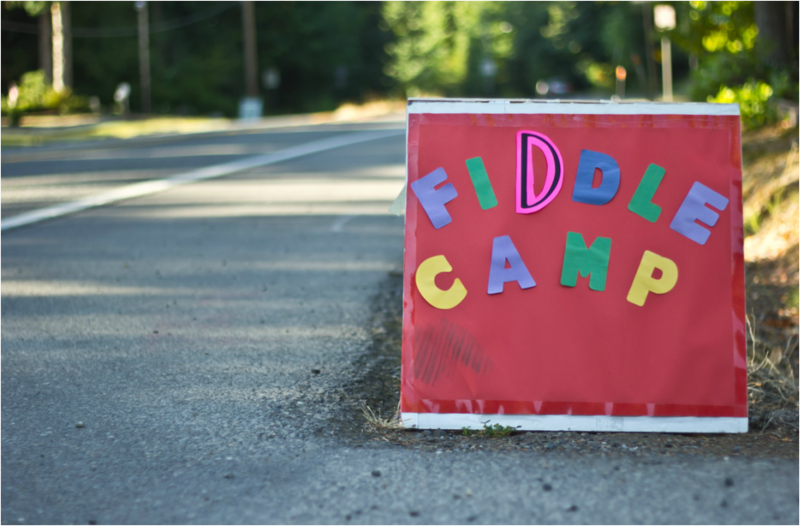 Our program was founded in 2011 as Olympia Kids Fiddle Camp, a collaborative vision of Deb Collins and Pamela Margon. 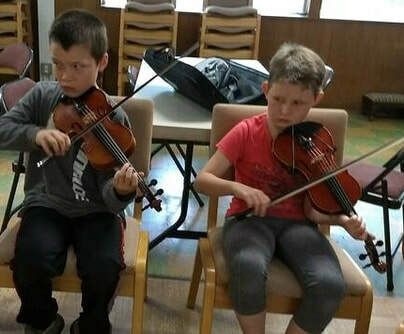 As private fiddle teachers and active musicians in the Olympia folk community, they wanted to create a space for young aspiring musicians to learn together during the summer time. In 2019, ​Pamela Margon and Hilary Morris will join forces to provide the music and arts curriculum that is the backbone of our program. 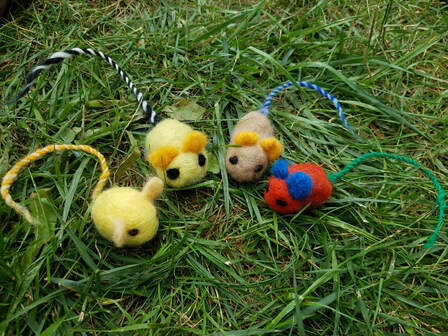 Together we will explore music, arts and crafts, and their intersection with the natural world. Located at the Meeting House at Priest Point in beautiful Northeast Olympia, our host site provides us with a lush forest landscape in which we conduct our day. Each day children will experience small group violin instruction at their ability level (Beginner, Intermediate or Advanced), as well as visual arts/craft instruction and technique. In addition, we will take advantage of our beautiful outdoor setting for a daily nature walk or outside activity. On Friday evening, we have a culminating concert and art show for families and friends to share our creations and music from the week. Camp Hours for 2019 are 9am-4pm, Monday- Friday, plus Friday concert at 7pm.